If you own a swimming pool, then you must know that maintenance is one of the most important things that you need to consider. This is why you need the best pool filter to screen or filter out the dirt and debris, thus giving you a clearer and cleaner pool water. If you haven’t paid much attention to the cartridge pool filter before, then it is high time you do so. Below are some tips to score the best cartridge pool filter in the market, as well as some of the best value cartridge options. The Top 6 Cartridge Pool Filters That Are Worth The Money! 1 The Top 6 Cartridge Pool Filters That Are Worth The Money! 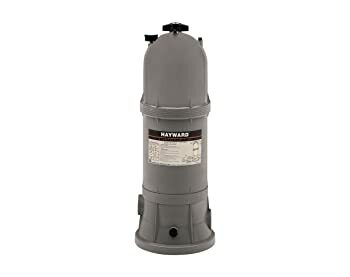 Hayward is a reliable brand of cartridge pool filter, as well as of other pool products such as pool cover, pool pump, and pool chemical. Hence, it is not at all surprising why we have three Hayward filters on the list. First is this C1200 SwimClear Plus cartridge pool filter. This is a 120-square foot filter suitable for 10,000 to 15,000 gallon of pool water. 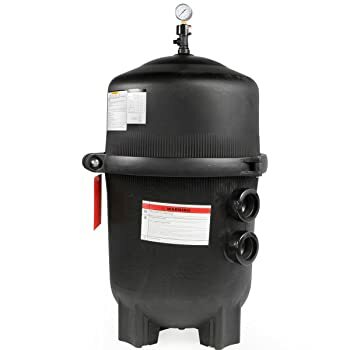 If you have a small to medium size pool at home, specifically an inground pool, then this is the top cartridge pool filter for you. A lot of its users vouch for the filter’s quality. Another amazing pool filter product from Hayward is this C3030 cartridge pool filter. This one is intended for bigger pools and can screen dirt and debris from a 30,000 gallon of pool water. If you have a family or party pool, then owning this high-performing cartridge pool filter is recommended. Removing the filter from the tank is easy, thanks to its low-profile tank base design. It has a full-size integral drain. Thus, flushing and clean-out of the filter is fast and easy. 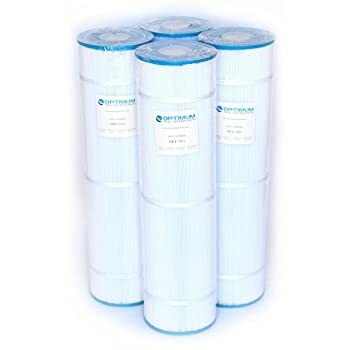 Aside from Hayward, another pool filter brand that always makes it to a lot of cartridge pool filter reviews is Pentair. The Pentair 160316 filter is known as the top rated pool filter for residential use. If you want a quality pool filter that is priced reasonably, then this is the pool filter for you. Its body tank is chemical resistant. Opening the tank is a breeze. This high-quality pool is great for hot tubs and pools for kids. This makes a good replacement filter in the case for emergency. Intex is another popular brand when it comes to swimming pools accessories and parts. Just like Hayward and Pentair. The 28633EG model is Intex’s best-selling cartridge pool filter. It boasts 2,500 gallons per hour pump flow rate. This is also packed with great features that you can’t see in other brands. Its pump is double insulated. This means that it is a lot safer to use as compared to other filters in the market. The filter is replaceable and easy to clean. This is the best pool filter for above ground pools. With Hydro Aeration Technology, a unique technology of most Intex filters, which is responsible for the oxidation of iron and manganese. If you want a cartridge pool filter specifically for Inground pools, then you should include XtremepowerUS 75202 filter on your list. This powerful pool filter is suitable for pools for commercial use such as in hotels, water parks, and resorts. Now that you have the list of the 6 top cartridge pool filters in the market today. It’s time to get to know the best cartridge filter replacement. Buying these replacements will save you a lot of money than buying another tank filter. Let’s have a look at the best choices for cartridge pool filter replacements below! 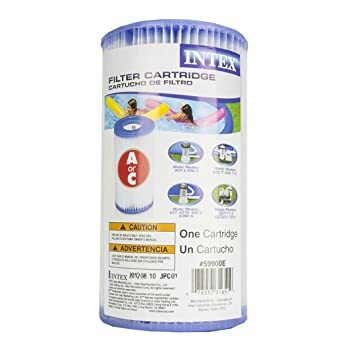 Top on the list of best cartridge pool filter replacements is this one from Intex. It is a pack of 6 filters, so no need to worry about running out of replacement pool filters for the next months to come. This also usually means that you can save more by buying several replacement filters in a single purchase. This is a Type A filter, which cartridges are made from Dacron material. The filter material is easy to clean. 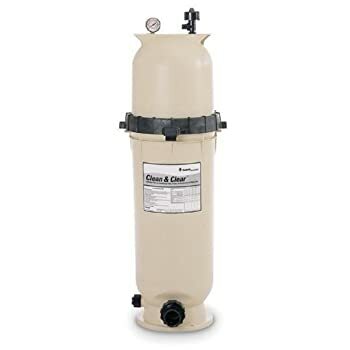 If you own a Hayward C-120 Star-Clear Plus Cartridge Pool Filter, then this replacement is the best to stock in your supply room. It’s a high-quality filter replacement that is made in the USA and has many features. Filter is made from REEMAY fabric, which is known for its superior strength. Another replacement filter from Pleatco is the PA175 Cartridge filter. It is an excellent replacement for Hayward Star-Clear Plus C-1750. 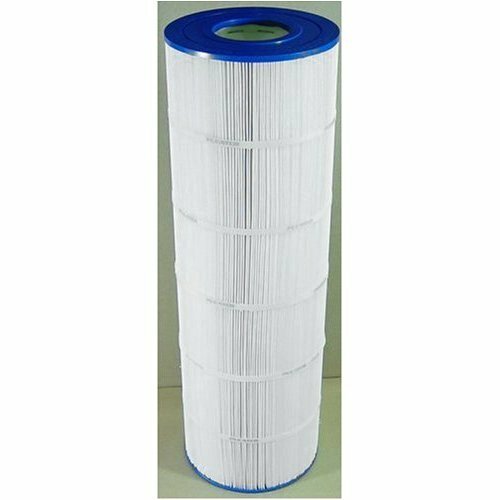 Users of This replacement filter said that this filter replacement is great for spa and pool cleaning. This cartridge pool filter replacement by Aladdin sure is a versatile replacement. This is compatible with Hayward CX1200RE, Filbur FC-1293 Star Clear Plus C-1200, Unicel C-8412, and others. This is made in the USA, thus quality is guaranteed. Last, but definitely not the least, is this pack of 4 cartridge pool filters by Optimum Pool Technologies. 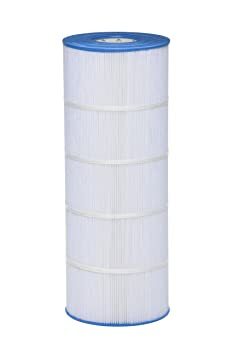 It’s a great replacement filter as commended by most users. 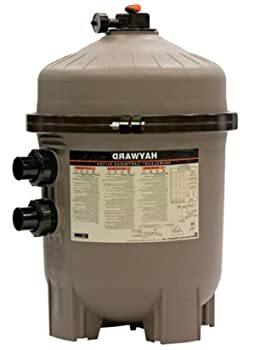 If you are looking for a cartridge pool filter that is specifically designed for antimicrobial protection, then this is the best filter replacement to buy. Features a spunbond polyester filtration media, a feature especially for antimicrobial protection. Pool filters are like kidneys, which the main function is to trap contaminants that can harm our body. A pool filter works in the same manner in which it helps remove these contaminants from the water. Opt for a Cartridge Filter than the Other Types. There are basically 3 types of pool filters that you can find in the market. These three are the sand filter, diatomaceous earth filter, and cartridge filter. It can filter dirt and other contaminants as small as 10 microns. This is compatible with a low-speed pump. No backwashing is needed, so you can save on water used for cleaning. Consider the Size of the Filter. Filter size is something you need to consider carefully to avoid problems in the future. To determine the right cartridge pool filter, you need to check the pool pump. Most inground and above ground pools have 4 or 5 sizes, depending on the flow rate or GPH (Gallon Per Hour) level that the pool pump puts out. The rule of thumb for a cartridge pool filter is that you need to acquire 100 square feet of filter per 10,000 gallons of water. So, if you have 30,000-gallon pool water, then you need at least 300 square feet of pool filter. Most cartridge pool filter reviews of popular brands reveal that filters are usually replaced every 1 to 2 years. However, due to using sunscreen and suntan lotions, hair care products, even deodorants, and other chemicals, pool filters tend to last up to 1 year the most. If you can find a pool filter that can last for 2 years even though the water is exposed to various pool chemicals, then that’s already a great buy. It also pays to check the brand or manufacturer’s background. Make sure all their products undergo testing and quality check. This will add another layer of protection and will guarantee your safety while using the filter. I understand that the budget is a great factor when buying things. But I want to share with you this buying guide that I have diligently followed for a couple of years now. What I do is make a short list of all the best rated cartridge pool filter from trusted brands, and then I list the best value product from each brand. This way, I can still guarantee that I only buy a pool filter from a credible brand without spending a hefty amount of cash. However, if the budget allows it, I always opt for a slightly advanced model or product that is still the best value. Just like most buyers nowadays, I have my own top pick from the list. 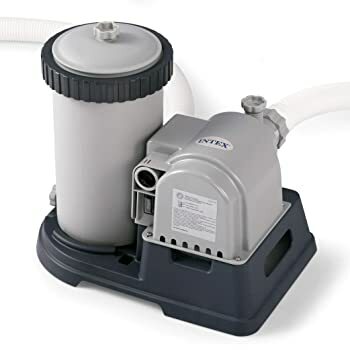 My top choice for the best cartridge pool filter is the Pentair 160316 100 Square Foot Cartridge Pool Filter. It’s the best pool filter for residential use, which suits my needs. If you have a residential pool, like me, then I suggest you give this pool filter by Pentair a try. It is also very efficient when in use. What’s even more appealing is that it is reasonably priced. A price below $500 USD? This filter is a sure winner! Pentair 160316 is also just the right filter size for my pool. When it comes to brand reliability, Pentair has been in the industry for many years, and their products are quite praised. Hence, I have no reason not to choose this amazing product. Hope you find this article helpful. If you have questions, please feel free to comment below.